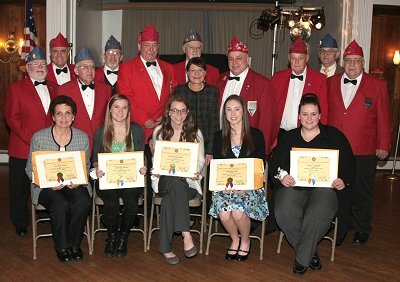 (Mineola, NY) The Veterans organization Nassau County Voiture #803 Forty & Eight held their 47th Annual Nurse’s Training Ball at the Malverne American Legion Post #44. Nassau County Clerk Maureen O’Connell, a registered nurse, joined the members of Forty & Eight along with other area officials in awarding scholarships to five nursing students from all over Nassau County. This year’s recipients were Heather Wallis of North Bellmore, Kerry MacDonald of Floral Park, Katie Sheridan of New Hyde Park, Christine Sison of Malverne and Emily Rersert of North Massapequa. Forty & Eight is a national organization originally formed as an honor society for members of the American Legion who had served in World War I. Primarily focused on charitable service today, the Nurses Training Program aims to encourage nursing education and student achievement.